édité le 27/10/2017 - Plus de news de "SAUDI ARAMCO" - Voir la fiche entreprise de "SAUDI ARAMCO"
Aramco Overseas Company B.V. (AOC), a subsidiary of Saudi Aramco, has entered into an arrangement to buy Gunvor Group’s stake in the Maasvlakte Olie Terminal (MOT) in Rotterdam, the Netherlands. Gunvor is one of the largest physical commodities trading houses in the world. The sale is targeted for completion by the end of October. The agreed terms have not been disclosed. 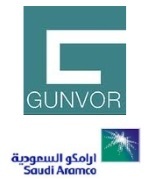 Gunvor acquired its stake in MOT through its acquisition of Gunvor Petroleum Rotterdam in 2016, and the divestment of MOT is part of Gunvor’s strategy to further develop its Rotterdam refining operations. AOC’s investment in MOT will add to its current participation in other facilities in the same area, allowing for expanded offerings in the North West Europe refining hub. This will complement Saudi Aramco’s export activities in Europe, strengthen the company’s supply chain and enhance its customer services in the region.